That F'ing Monkey: Pinkerton in Concert? Please Make it so! Rivers Cuomo told MTV that he is considering doing a tour where they play two nights in each city that go to. The first night they’ll play the entire blue album, the next night the entire Pinkerton album. 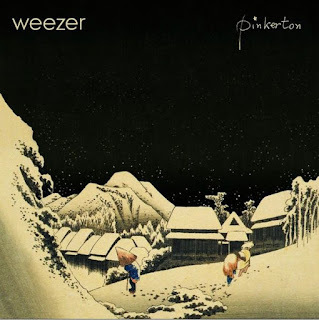 Now the blue album has some amazing songs, “Surf Wax America” and “In the Garage” are favorites of mine, but Pinkerton is an amazing album. I would pull a serious road trip to hear the entire album played live. That’s saying a lot considering it would be a 35 minute concert. Pinkerton isn’t a very long album. If they added "Suzanne" to that set list my head would explode. Son of a whore, I'm in on this one! !